LED A19 bulb with a frosted finish delivers 800 lumens of natural light for up to 10,000 hours. Solid state LED lighting offers a 200-degree beam spread. Nondimmable bulb is approved for use in enclosed fixtures. 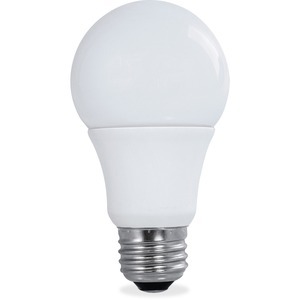 120-volt bulb also features an E26 ANSI base, 80 CRI and 5,000 Kelvin temperature.